MHG Heating’s new Superbox commercial gas condensing boilers with stainless steel heat exchangers deliver up to 106.4% net efficiencies with Class 5 NOx levels, backed by a five year warranty. MHG Superbox boilers are available with heat outputs from 160kW to 1,060kW and feature pre-mix combustion technology, as well as a high modulation ratio to ensure that high efficiency is maintained at variable heat loads. MHG Superbox boilers can also be combined in cascades of up to 16 boilers for maximum flexibility. For even greater flexibility, the integral master control panel provides control of up to three different zones. 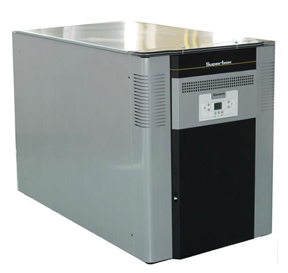 SuperBOX boilers are also designed for ease of installation and maintenance. Superbox is one of three new ranges of gas fired condensing boilers recently introduced by MHG Heating. The others are Ultrabox and Wallcon.